Editor in Chief of Allure, Michelle Lee’s beauty fridge pictured on her Instagram account (@heymichellelee). 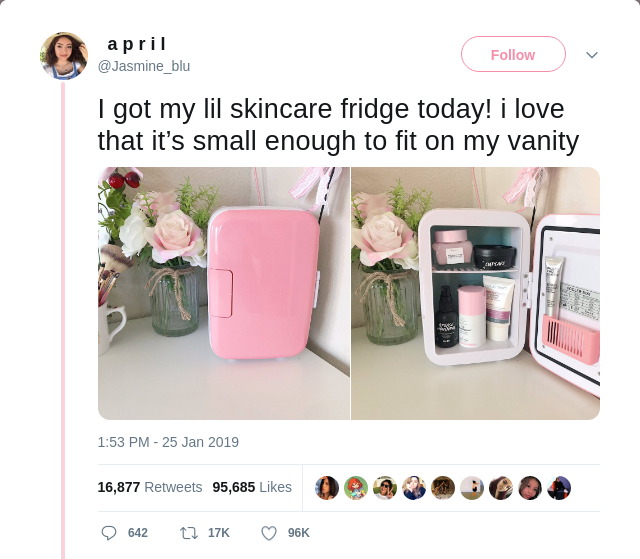 Jasmine Blu, CEO of accessories label, Just Peachy, tweeted images of her personal beauty fridge (@Jasmine_blu). Naturally, you could (and may already) store certain products in your main fridge. But then that’s probably not going to trend on Twitter, is it? 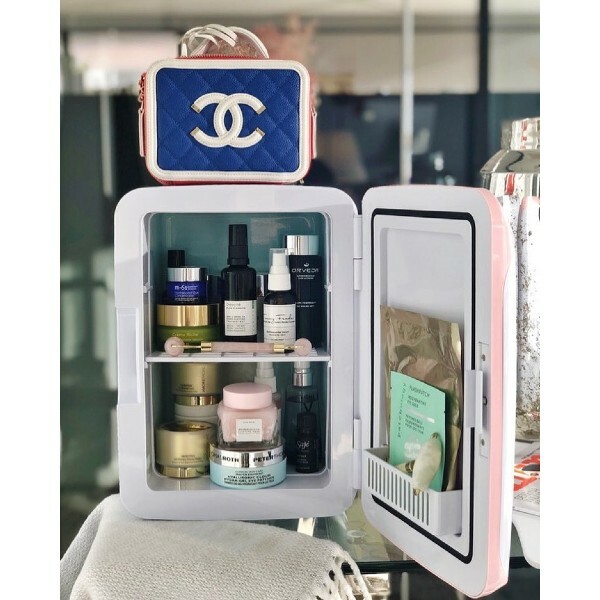 Enter the dedicated company for the mini fridge solely designed for beauty: ‘Makeup Fridge’ – which comes with the excellent tagline ‘face mask and chill’. You can also shop them on Minifridge.co.uk as well as the likes of trusty Argos and Amazon, if you want in on the trend. 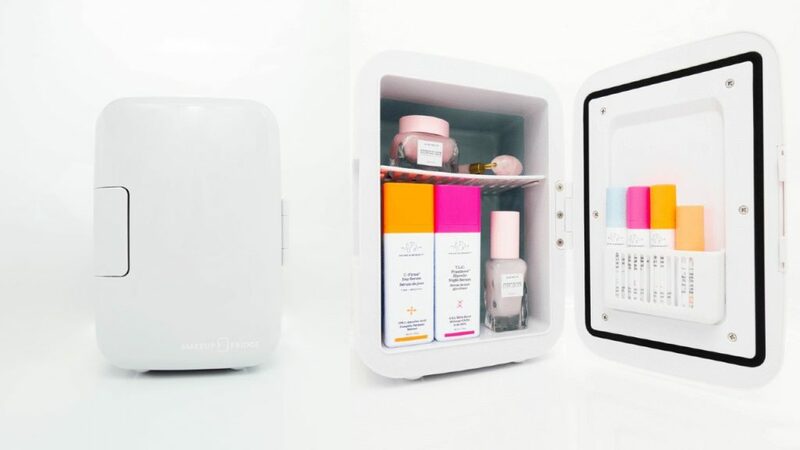 A white iteration of the Makeup Fridge (USD$79.99 or approximately S$110). 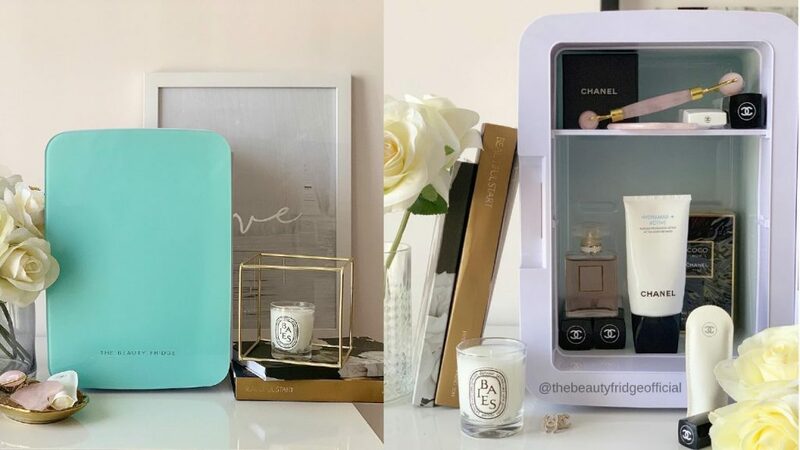 The Australian company, The Beauty Fridge (@thebeautyfridgeofficial) is set to launch sales soon. Prices unavailable at the moment. 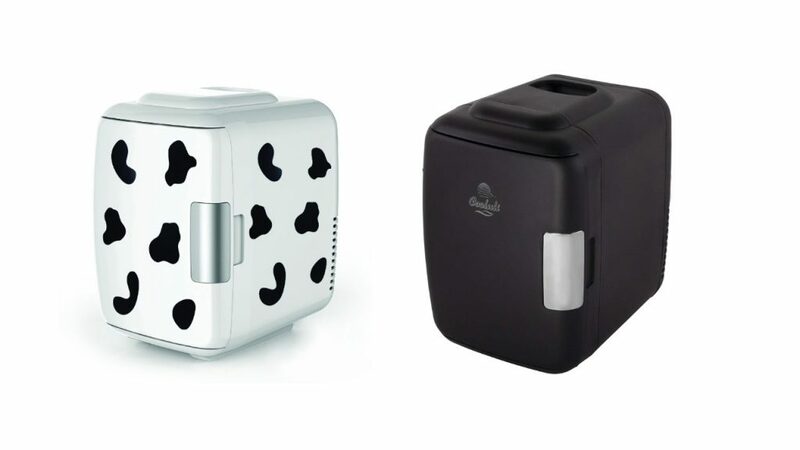 Technically a mini fridge for snacks and canned drinks, the Cooluli mini fridge in cow prints and matte black (US$47.99 or approximately S$65 from Amazon). 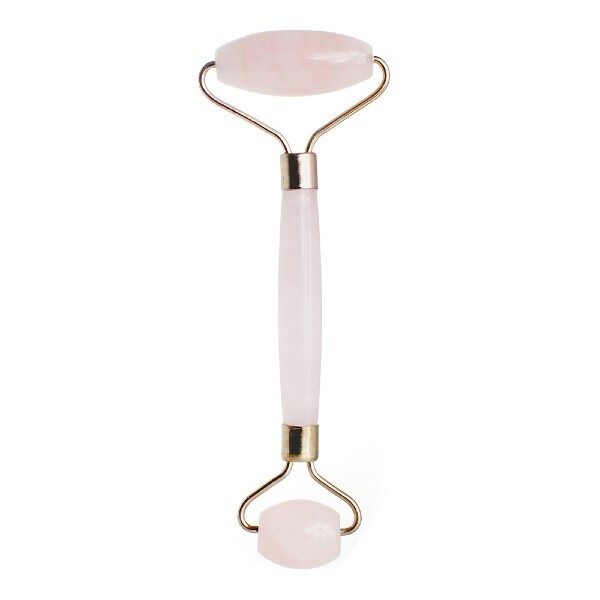 Rose Quartz Face Roller from Herbivore Botanicals (S$58 from Sephora). 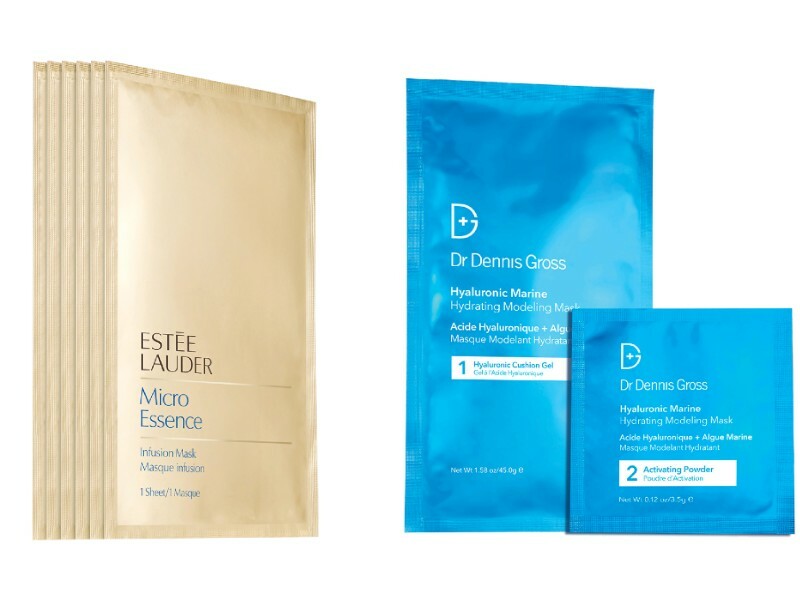 From left: A pack of six Micro Essence Infusion Mask by Estée Lauder (S$98 from Sephora); Dr. Dennis Gross’ dual-step hydrating mask ($72 for a set of four treatments from Sephora). 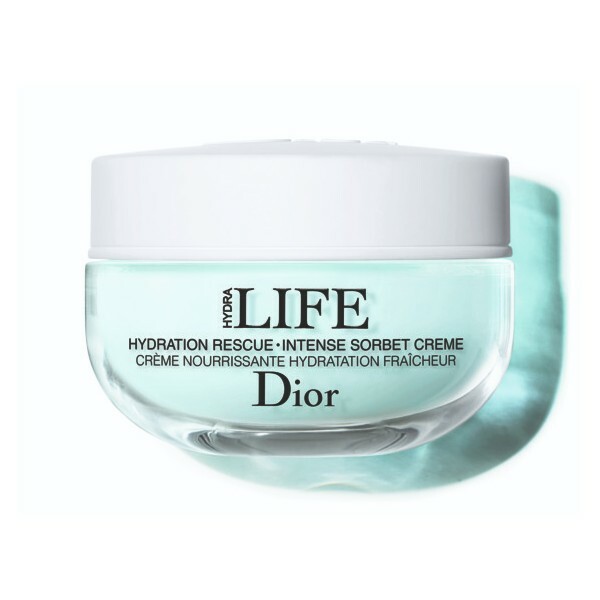 A soothing and lightweight day cream (or sorbet as Dior has it, S$110 from Dior Beauty counters) to refresh and rescue dry and parched skin. Moisture Boosting Facial Mist from Alpha-H (S$24 for 100ml from Sephora). 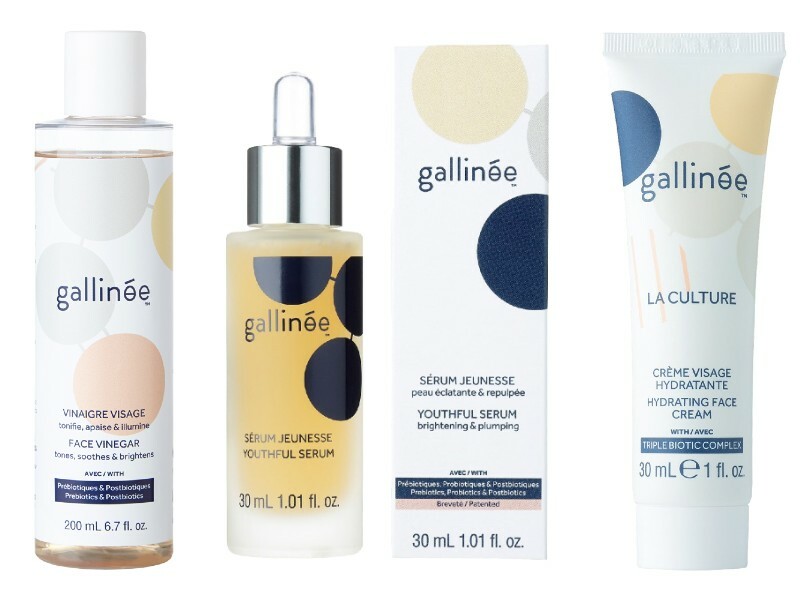 Gallinée is a probiotic-focussed French skincare label, new to Sephora Singapore. Here, from left: vinegar to tone the face (S$42); serum (S$95); moisturiser (S$65). Enamoured Nail Glaze in Evelyn 144 grey by Marc Jacobs Beauty (S$30).